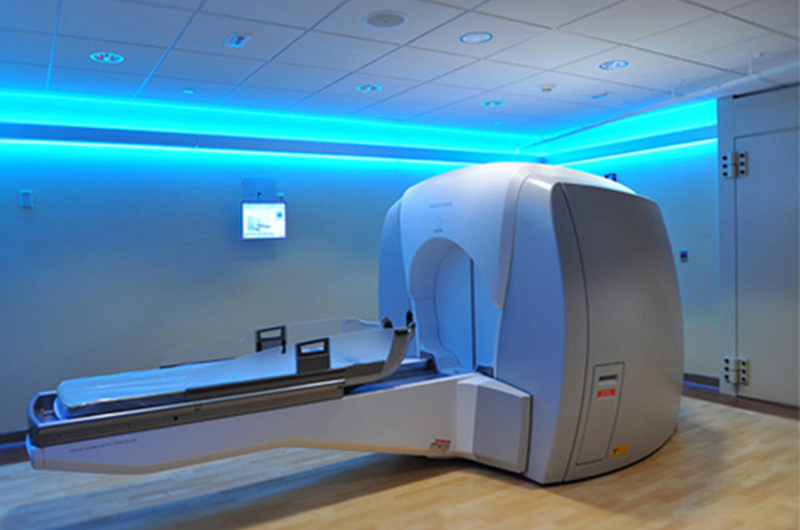 This project involved the renovations to 1,984 SF of existing hospital space to accommodate a new Gamma Knife medical treatment suite. 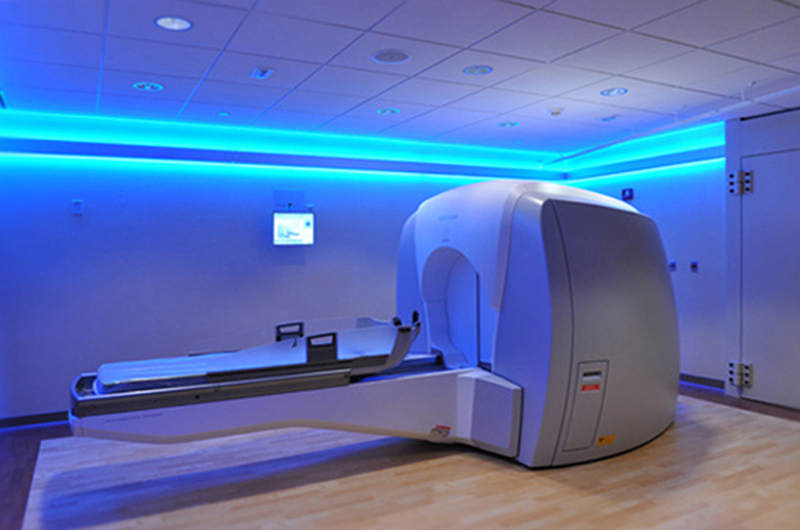 The proprietary Gamma Knife system consists of several components that are electrically separated into an office side (Control Room) and a medical side (Treatment Room). 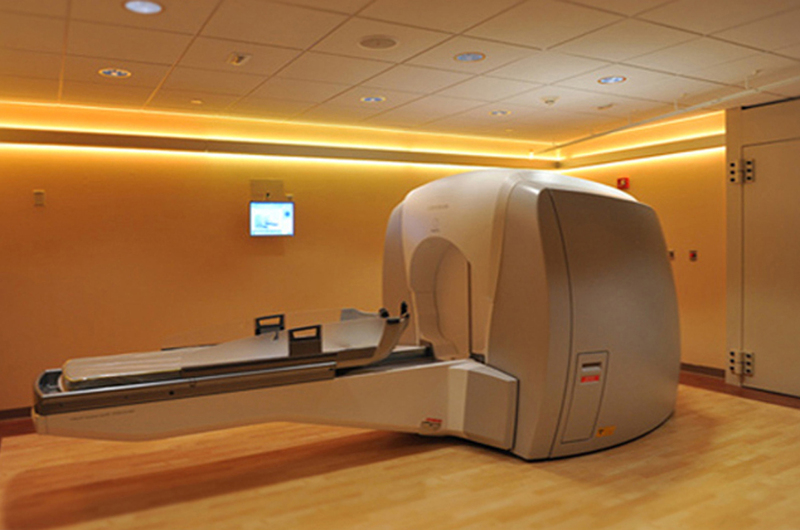 The Control Room consists of a control station with operator console, office cabinets, and treatment room monitors. 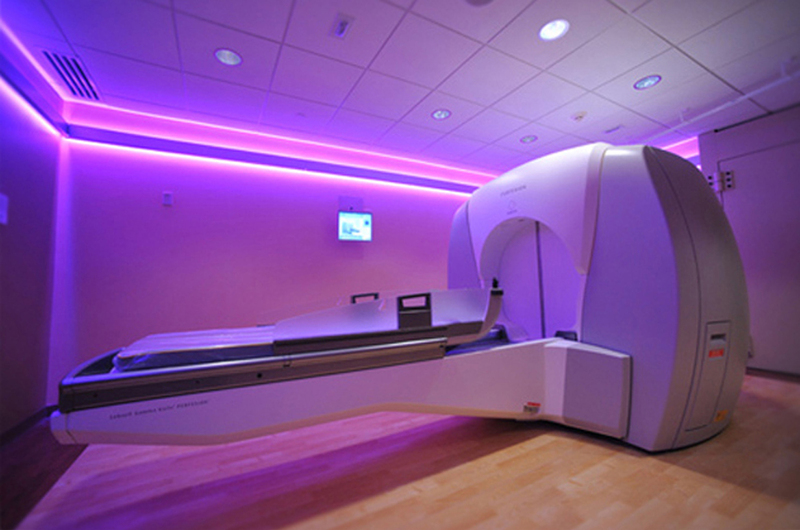 Support spaces within the suite include a Reception Area, Patient Waiting Areas, a Soiled Utility Room, a Consultation Room, and Exam Rooms. 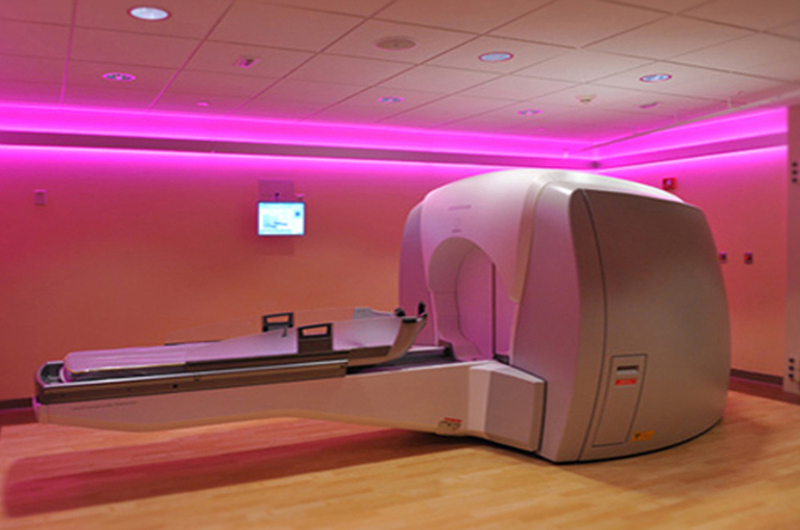 The Treatment Room consists of the radiation unit with a patient positioning system and medical cabinetry which contains the system controls and power units. 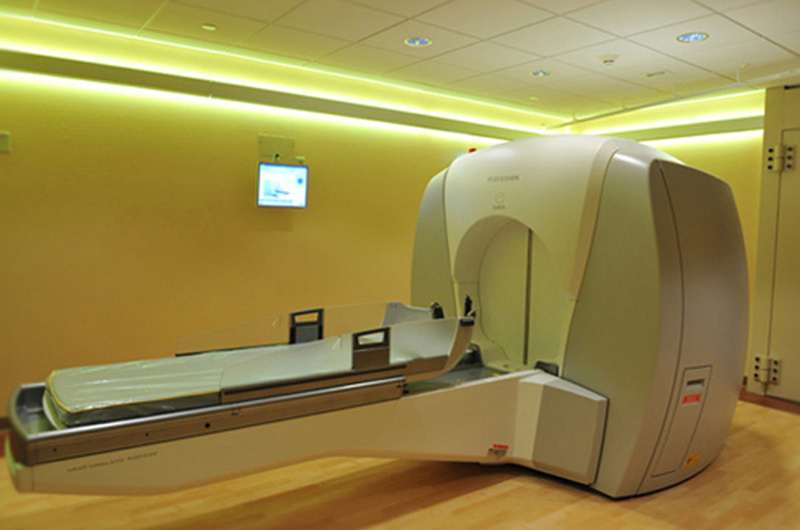 This area was upgraded with a new steel frame structure to support the necessary lead shielding and shielded vault doors. 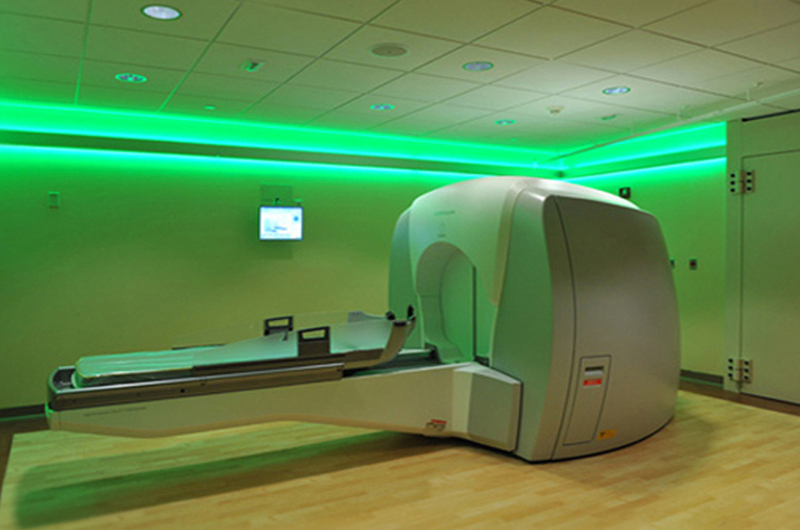 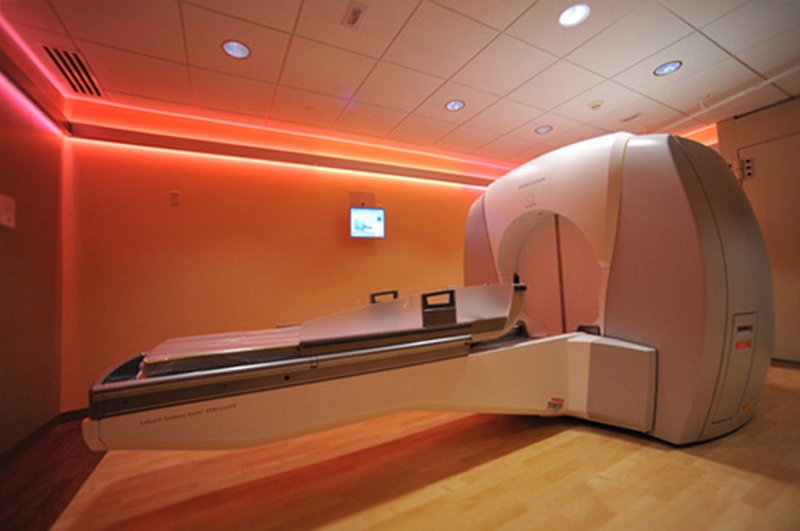 The Gamma Knife Suite features dynamically colored lighting to create a visually stimulating, yet calming environment for patients.